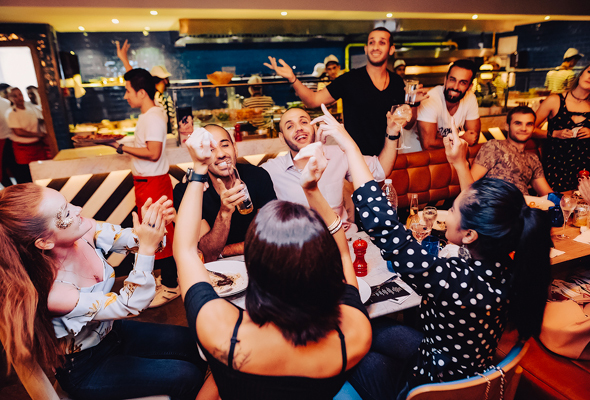 If you’ve been to the Thursday evening brunch at Jazz PizzaExpress in JLT, you’ll know it’s a brilliant, value Thursday evening package to perfectly warm up the weekend. 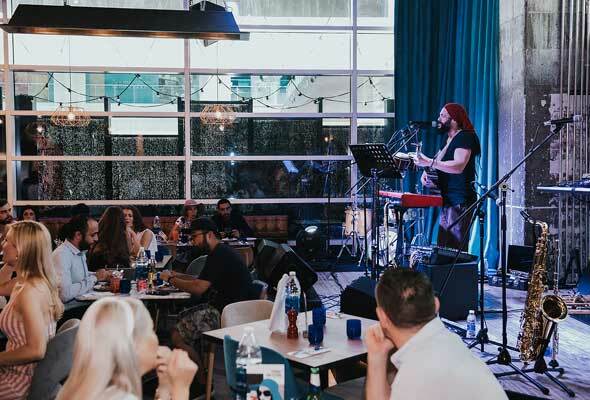 And The Stage Brunch has proved so popular at Jazz PizzaExpress JLT, that Love Parties, the party brand behind the concept, is launching it at its Business Bay sister restaurant, PizzaExpress Live this Thursday January 31. Not familiar with this Thursday evening party? Let us get you up to speed. The Stage Brunch is a more laid-back affair than Love Parties popular party brunches. It kicks off from 8pm, (although those wishing to kick off early can take advantage of happy hour prices on drinks from 4pm to 8pm) with neat plates of sharing starters delivered to the table. The offering includes unlimited grilled mushrooms, Polpette meatballs and Pizza Express’ signature dough balls served up to an acoustic soundtrack. From there, guests are invited to pick a main from a choice of four pizza, two pasta and two salads, and the acoustic sets by musician Adam Baluch are switched up for livelier sing-along hits and crowd karaoke by the time they arrive. Packages start from Dhs225 for house drinks, or upgrade to the sparkling package for Dhs275 which includes espresso martini cocktails and bubbles. After 11pm, the party doesn’t stop. A brilliant drinks deal from 11pm to 2am offers five drinks for Dhs150, and the DJ keeps spinning until the early hours.